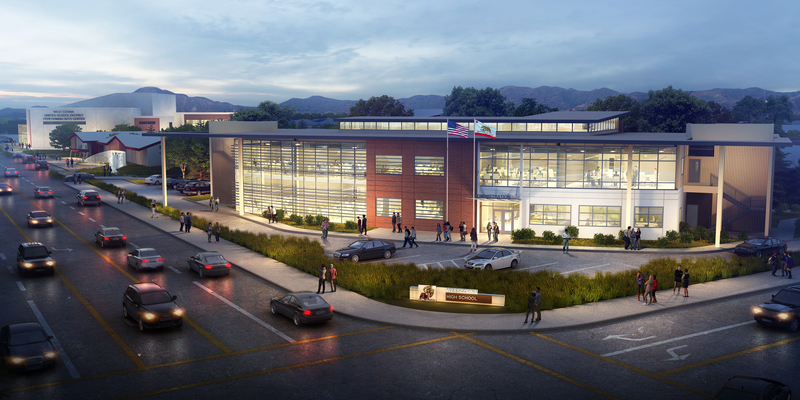 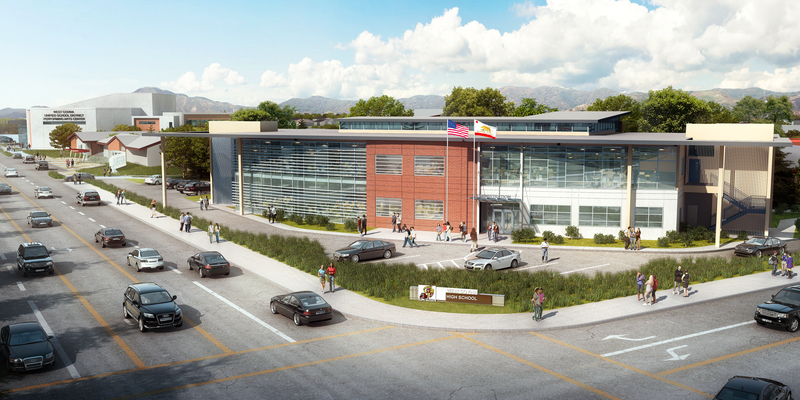 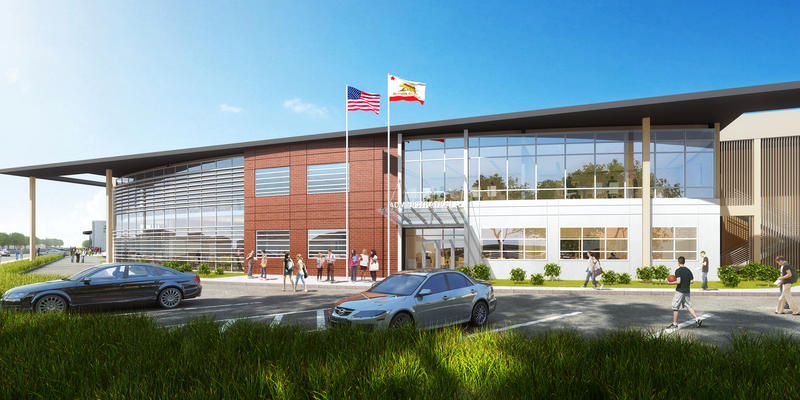 The two-story classroom building at West Covina High School provides a 21st century learning environment for the expanding Robotics curriculum and construction technology classes that emphasize educational development for students entering these fields. 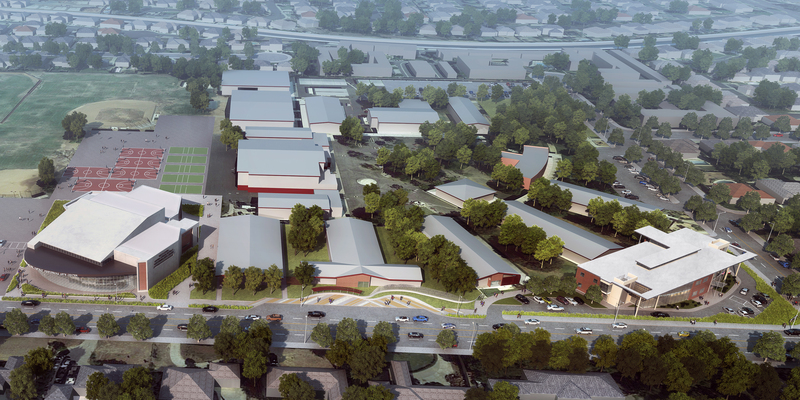 An arena space for demonstrating robotic projects and competitions doubles as an exhibition space for the entire campus. 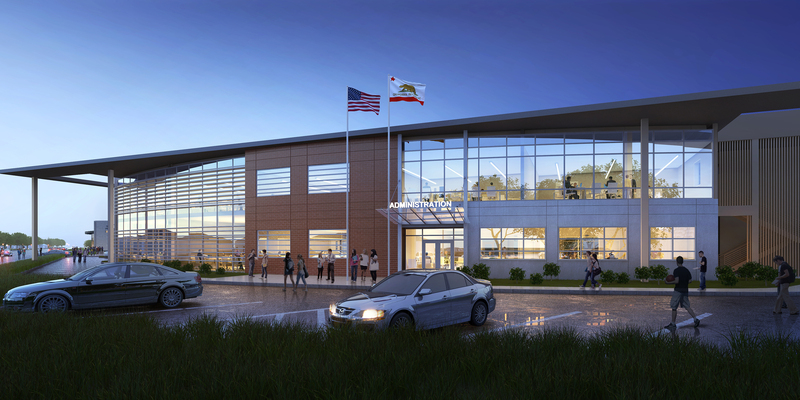 In addition to the six classrooms dedicated to their Career Tech Education (CTE) program, the new facility hosts two full science classrooms and seven standard classrooms along with collaborative and administrative spaces.